AWMAC's Northern Alberta Chapter hosts successful Annual Convention. The Architectural Woodwork Manufacturers Association of Canada held its 49th Annual Convention at the Fairmont Hotel Macdonald in Edmonton, Alta. last week. The event, May 31 to June 2, was organized by the Northern Alberta Chapter and attracted millworkers from coast to coast. 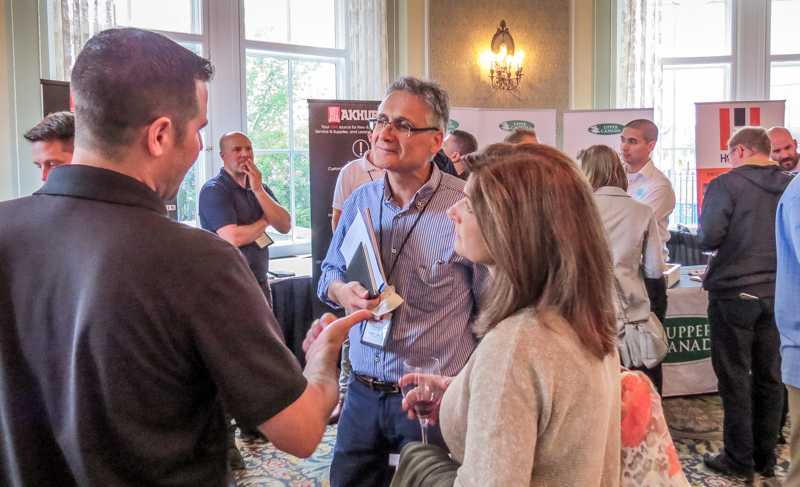 The convention kicked off with the golf tournament and parallel outings, followed by the popular Partners Showcase evening which affords association supporters the opportunity to present their latest products and services to attendees in an informal setting. The next few days featured a series of informative business sessions as well as the association’s Annual General Meeting. In addition to the formal aspects of the convention the chapter allowed for great networking opportunities and entertainment including events across Edmonton, dinner at the Art Gallery with hypnotist Wayne Lee providing the entertainment. The President’s Ball concluded the event where many new business contacts were forged and friendships renewed. AWMAC’s 50th Annual Convention will be held in Victoria, B.C. May 23-26, 2019.